The elevation or differences in elevation on the surface is usually shown as contours. A contour line is a line that connects points of equal elevation. There is usually a contour interval set, say 1-foot for conventional survey. An aerial topographic survey may have a contour interval of 2-foot to 5-foot typically. Again, these contours are a way to represent the relative elevations of the surface of the land. 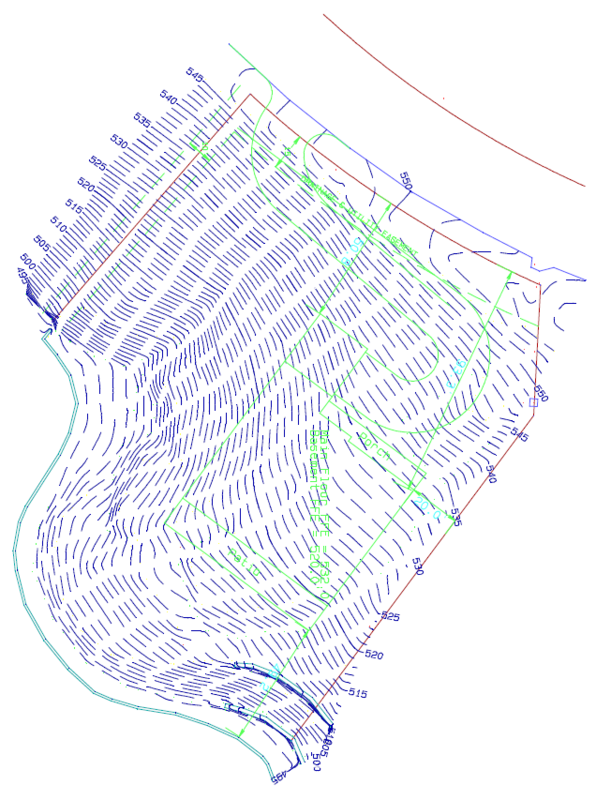 By industry standards, contour lines are accurate to within half the contour interval. So, a 1-foot contour line should be within a half foot (0.5’) of the actual elevation on the ground. Call Ringgold Land Surveying today at (706) 222-3522 or fill out our contact form for more information concerning your topo survey or topographic surveying needs.